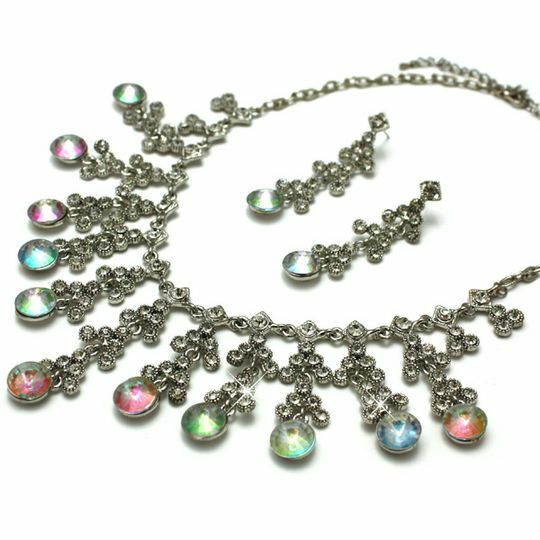 Antique by style, this crystal jewellery set has a necklace that will hug the neck in all the right places. Silver tone, vintage style with iridescent and clear crystals,  all coming together to make a truly elegant piece of statement jewellery! Necklace length 42cm. Fully adjustable with a 9cm extender. Post finder pierce earrings with a 6cm drop.